Behold! The first flower in my wildflower garden. 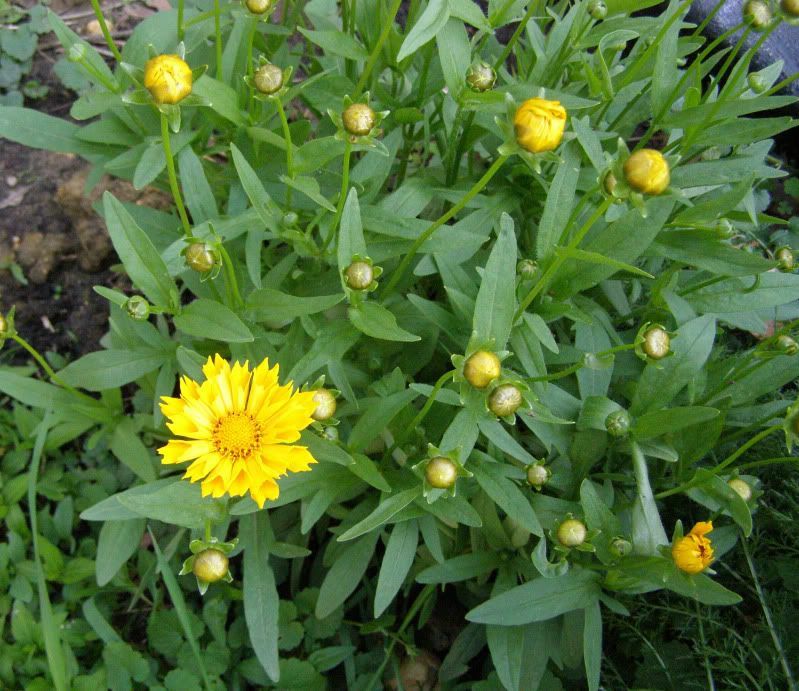 Coreopsis 'Jethro Tull' is a cultivator of our native Coreopsis. It also has the common name of Tickseed for some reason. Four more flowers have opened up and tiny sweat bees and common flies are already showing up. To the side of the plant is our goldfish pond and should make for some excelent photos. The dark background of the water and the bright color of the flowers will make for a perfect setting. Now all I need are some insects.